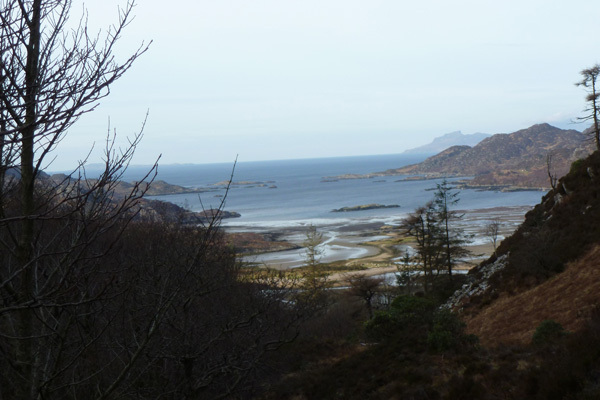 A lovely walk through woodland and then out onto open heath, skirting around the edge of Blain lochan with good views of the surrounding hills of Beinn Gheur and Beinn Bhreac and stunning views over Loch Moidart to the Small Isles. 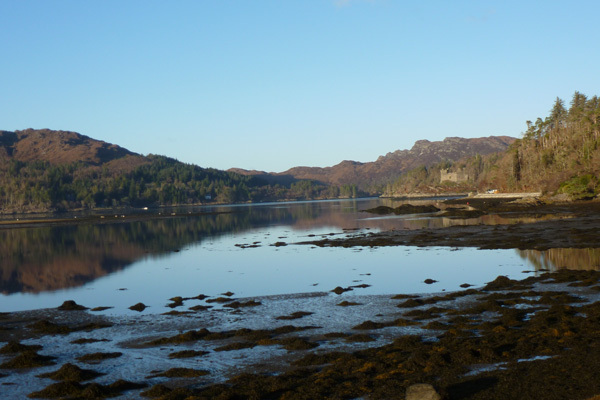 There is an opportunity to take a short detour to the ruins of Castle Tioram on the tidal island of Eilean Tioram, the former stronghold of Clanranalds. The route also passes by the spot where Alan 14 th Chief of the Clanranalds is thought to have rested on his way to support the 1715 Jacobite Uprising. 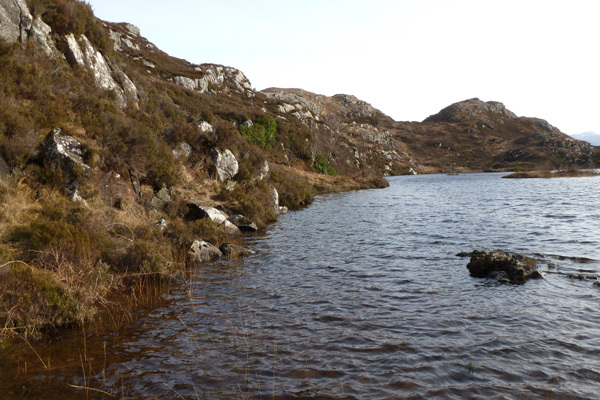 The resting spot, identified as a large boulder with a indent, by the pipeline, near the dammed loch (reservoir) overlooking Loch Moidart, is known as Clanranald’s Rock or Seat (see Moidart History Walk 5 for further details). Other sources suggest that this was the place or nearby where Alan watch the burning of Castle Tioram at his instigation to prevent it falling into the Government hands following his departure. The route follows small water courses lined with mainly alder, birch, ash, willow and ash; the trunks and branches of which support an abundance and diversity of crustiose, foliose and shrubby lichens (with representatives of Lobarion, Parmelion and Usneion communities), as well as bryophytes in the wetter microclimates. Look out for the intricate patchwork of crustiose lichens (Graphidion) on scattered ash trees. The route also passes through lovely section birch woodland with scattered oaks strewn with bryophytes and lichens and epiphytic ferns (e.g. common polypody). There are also scattered pockets of Scots pine by Blain lochan. The route passes through sections of heath consisting of Calluna-Erica assemblages and purple moor grass and hard fern, and with bog myrtle and sedges in the wetter areas. There is considerable encroachment of bracken in some areas. The route also passes through rough pasture and former lazy beds, where oats and barley were cultivated in the 18th and 19th century, part of the old settlement of Blain (see Moidart History Walk 5 for further details). The route takes you by three lovely lochans and along the banks of the River Shiel, on a private road and then on the minor road back to Blain Burn. 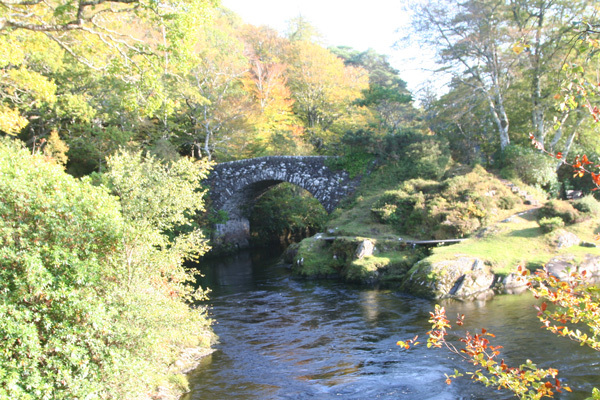 On your return take time to explore Old Shiel Bridge, a Thomas Telford design, constructed circa 1840. The rubble hump back, single arched bridge bears a plaque acknowledging joint ownership Rt. Hon. Lord Howard of Glossop and Charles Duneill Rudd Esq. of Ardnamurchan and forms a boundary with Ardnamurchan Parish. 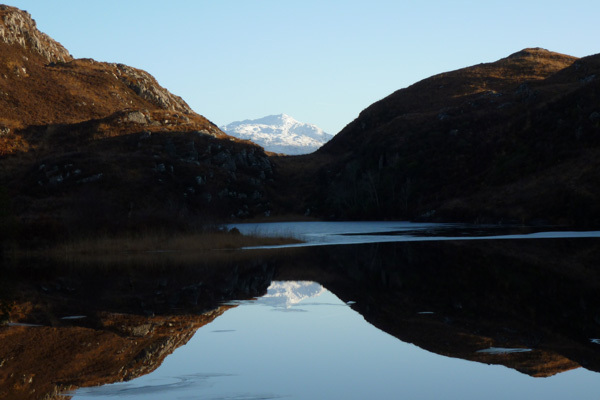 Look out for otters, diving and dabbling ducks on River Shiel and waders on the shores of Loch Moidart. Flocks of goldeneye frequent the river in winter. Scan the hills and crags for raptors, including golden eagles, white-tailed eagle and buzzards and corvids (raven and hooded crow). The fast flowing burns provides an idea habitat for dippers, whilst red throated divers and whopper swans may be seen on hill lochans, according to season. Listen out for stonechat and pipits on the open heath, and a range of woodland birds. The bedrock is mainly metamorphic consisting variously of granofelsic psammite, schistose pelite and gneiss, or schistose semipellite and granofel (Morar Group), with scattered igneous intrusions of basalt and microgabbro. Some of the rocky outcrops support patchworks of crustiose lichens. 1. Park at the lay-by by Blain Burn and take the track through the metal gateway signposted Blain Burn. The track follows the old road to Castle Tioram and a burn through birch/oak woodland affording lovely views over the burn, with its steep sided banks populated by hard ferns (Blechnum spicant) and male and butler ferns (Dryopteris spp), interspersed with small specimens of ash, alder, rowan and willow. 2. Cross over the rickety stile by the metal gate and keep right, ignoring the first track on the left. The path ascends gently, initially skirted by birch woodland before heading out into open country/rough pasture. 3. Where the track bends, take the grassy path on the left heading towards a birch woodland (the second turning on the left). The path passes through a lovely section of oak/birch woodland. 4. Continue to ascend, passing through another wooden gate. The path eventually emerges from the woodland and ascends onto open heath with scattered clusters of young birch, with bog asphodel (Narthecium ossifragum), bog myrtle (Myrica gale), bell heather (Erica tetralix), devil’s-bit scabious (Succisa pratensis) and heath spotted orchid (Dactylorhiza maculata) in the wetter areas. There are also variable amounts of bracken encroachment (Pteridium aquilinum) on the heath. 5. Cross over another stile, admiring the views on route as the path follows the burn up to the lochans. At the top there are some lovely views of Loch Blain and Loch na Fola whose margins are fringed with water lilies (Nymphaea alba), encircled by the low ridge of Beinn Gheur. 6. The path skirts around the edge of Loch Blain and then over another rickety stile, skirting round edge of the northern loch, Loch na Fola, and by a clump of Scots pine and larch. Ascend to a hawthorn tree on the right, where two paths meet. Keep left, ignoring the path on the right by the hawthorn tree. 7. 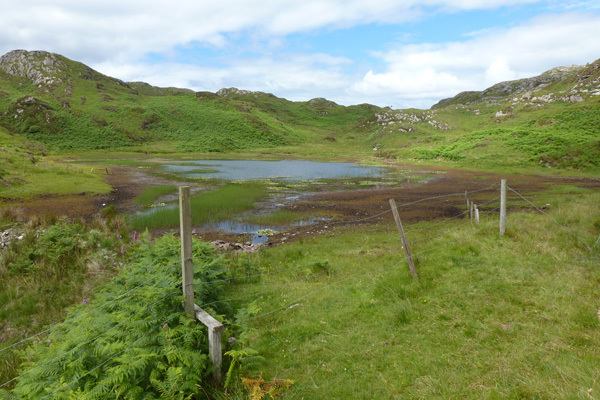 Soon after, another lochan comes into view. Skirt by the side of this lochan on a narrow, tricky path cutting through mature Calluna heath towards the far end (dammed section) of the lochan. Good views are afforded of the surrounding hills. 8. 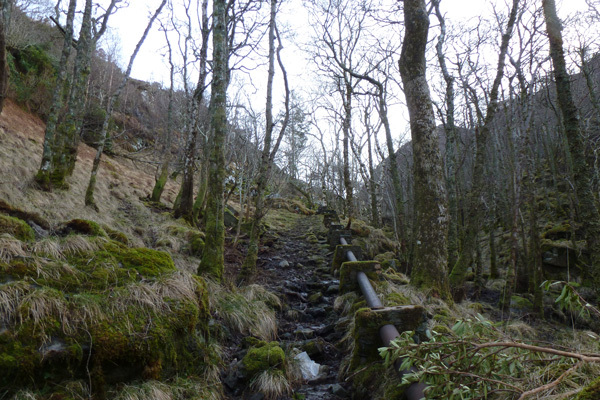 At the far end of the lochan continue downhill along the path passing through a gap between surrounding hills downhill, following the courses of a wooded burn and an old metal pipeline. The pipeline soon veers away only later to rejoin the path. Take care as the path can be rather slippery. 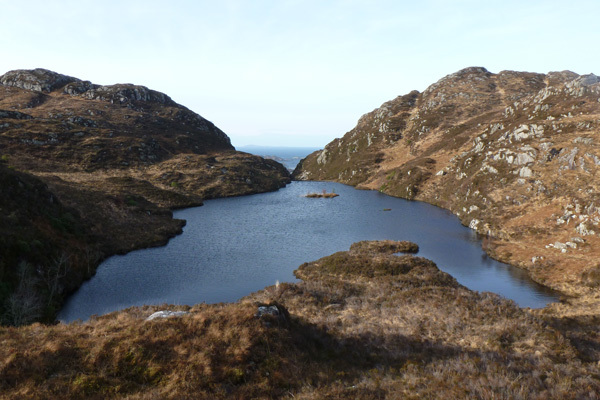 The descent provides some fine views of Loch Moidart and the Small Isles (Eigg, Muck and Rum). 9. The path eventually emerges by the side of a cottage. Cross the stile and turn left on the road. 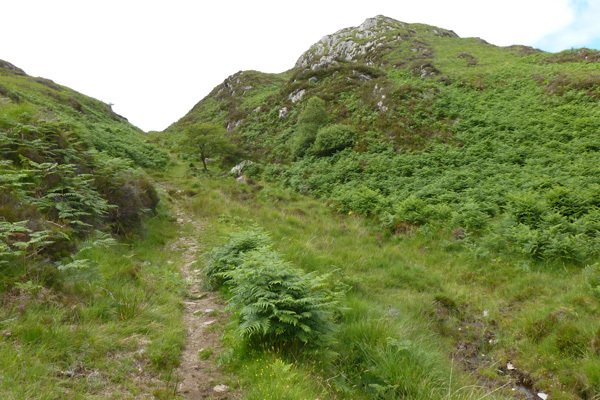 After a short distance, take the track on the right that descends towards loch Moidart. 10. At the bottom of the track, turn left to continue the walk. Alternatively, take a short detour to Castle Tioram by turning right. 11. If continuing on the walk skirt round Loch Moidart on the tarmac road, passing by the small white cottage at the end of the road (Mary Ann’s Cottage) and onto a track. Look back on route for views of Castle Tioram. 12. Pass through a metal gate and continue along the track by the shores of the River Shiel, looking out for merganser, goldeneye and other ducks, as well as otters, on the river. 13. At the end of the track, pass through the white picket gate and turn right to continue on the Dorlin road back to Blain Burn. This section of the road is particularly lovely with its low stone wall, clad with wildflowers and bryophytes and affords some lovely views of River Shiel on route. 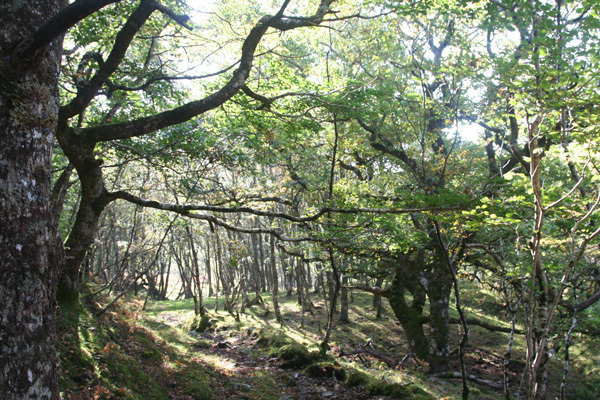 There is mixed deciduous woodland on the left, consisting of oak, aspen, rowan, alder, hazel and birch. The road eventually veers away from the river, with enclosed rough pasture on the right, interspersed with some small wooded sections. The route passes by Camus Dorch and a pool with fishing pontoons, and the Old Shiel Bridge. 14. When you reach the A861, turn left and return to the start point at Blain Burn. The Lime Tree An Ealdhain Hotel is a small hotel with award winning restaurant and an art gallery on the west end of Fort William. The hotel has 9 rooms, all ensuite with bath or shower. Loch LInnhe is just across the road, and the shoreline along the promenade to Fort William is a good place to look out for otters!